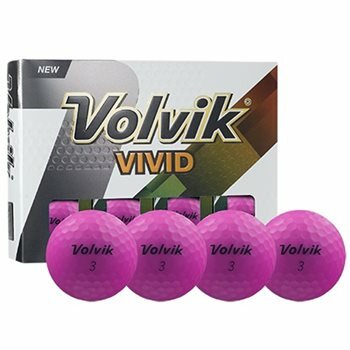 The Volvik Vivid golf ball is the world's first matte finish golf ball. Along with its bright, stylish color, this ball has a soft feel along with stable and consistent ball flight. Designed for swing speeds between 70 and 90 MPH, this ball provides longer distance for slower swing speeds while maintaining consistent and accurate green-side spin control.